For REAL? 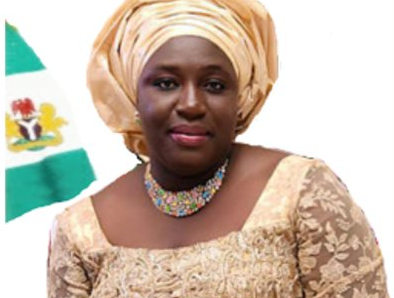 Do You Believe The New Imo State Commissioner Is On TWITTER Insulting Nigerians? Oh Lord! 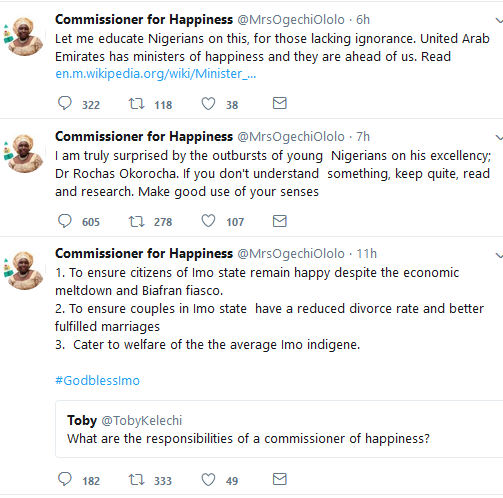 Do you believe the new Imo State Commissioner for happiness and Couple Fulfillment is on twitter insulting Nigerians? She actually said those criticising her office should atleast make their research and get some sense and people tried to reply her and she WENT IN on them. » For REAL? 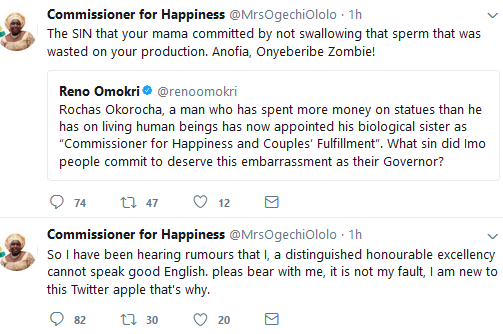 Do You Believe The New Imo State Commissioner Is On TWITTER Insulting Nigerians?